Nutella is updating its 3kg tub packaging after users reported difficulties with the original design. The 3kg tubs are usually used by cafes, restaurants and other foodservice providers and originally came in a brown tub. After surveying 400 Australia chefs and café workers, Ferro Foodservice, the owner of the Nutella brand, discovered the brown colour was not suitable. “Following customer feedback that the inside of our brown tub can make it hard to distinguish the true usage of Nutella, we have looked to repackage our foodservice tubs,” National Sales manager for Ferrero Foodservice, Jodie Tripodi said. The tubs will now be white so that users can easily tell how much of the brown Nutella chocolate spread is left inside. “Product quality control and food safety is always a primary concern for foodservice professionals,” said Tripodi. “This was front of mind when our new Nutella foodservice packaging was developed as the new white tub makes it very easy for those in a kitchen to quickly identify cracks and possible product seepage, allowing kitchens to remain safe and hygienic,” she stated. 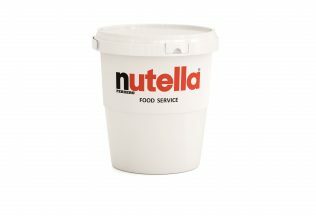 The new 3kg Nutella tubs can be purchased either directly through Ferro Foodservice or Australian foodservice distributors. Ferrero Australia and New Zealand is responsible Nutella, Tic Tac mints, Kinder Chocolate, Raffaelo and Ferrero Rocher chocolate. Coca-Cola South Pacific is now selling a chocolate flavoured version of its Zico coconut water.